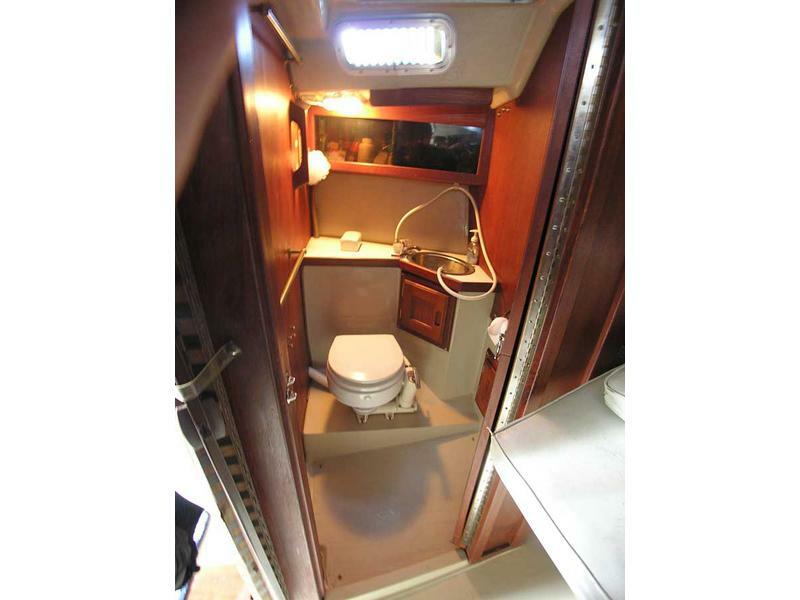 This Cat 30 has the desirable foldup table with the L shaped dinette. 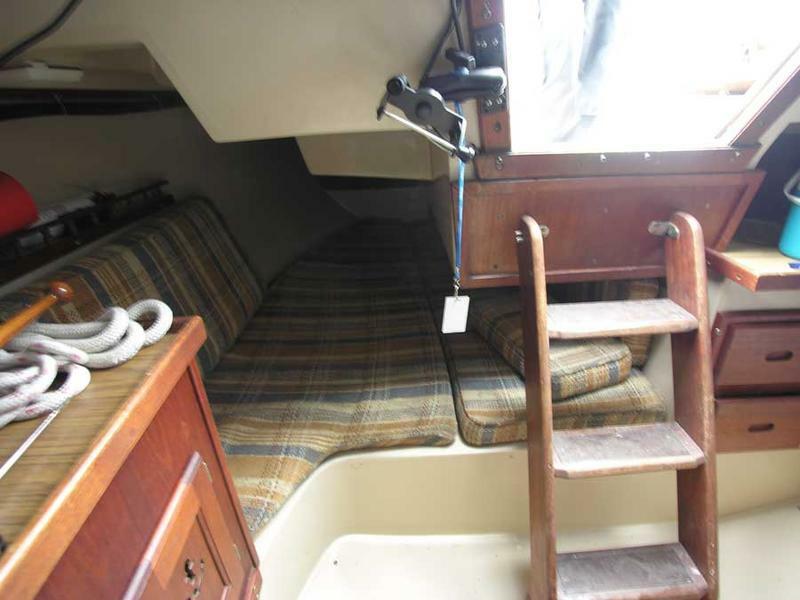 She has a spacious vee berth forward with “tons” of storage. 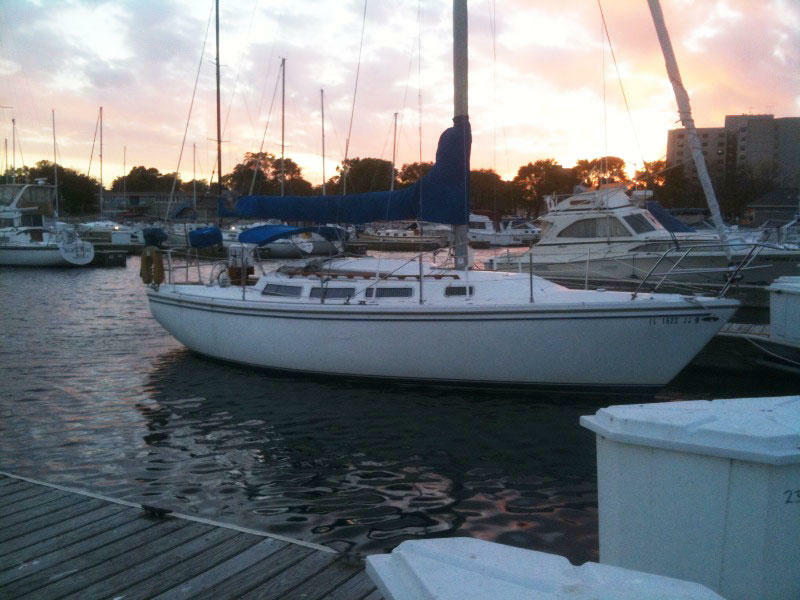 Next aft to port is the head, with a shower w/ sump, pressure water & great ventilation. Across from the head is a hanging locker and more shelves for additional storage. 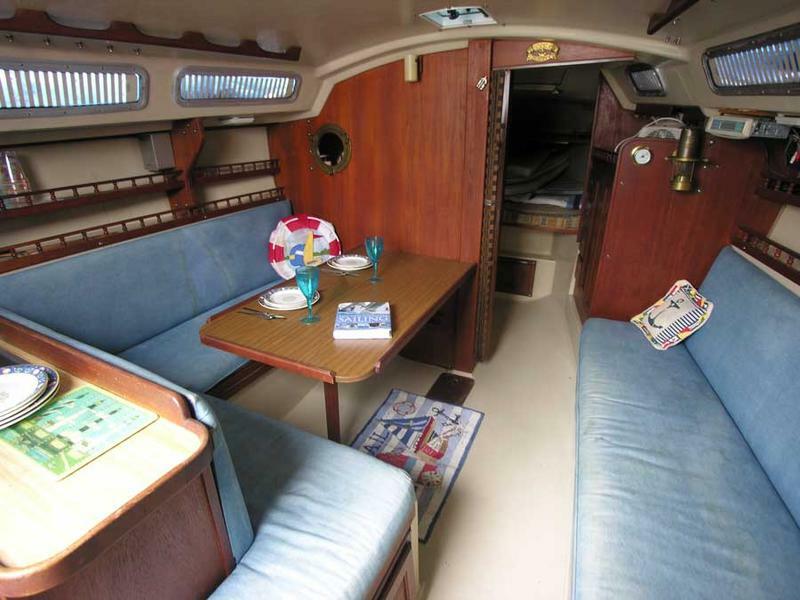 The spacious salon is next, with an L-shaped dinette to port and a single settee to starboard. 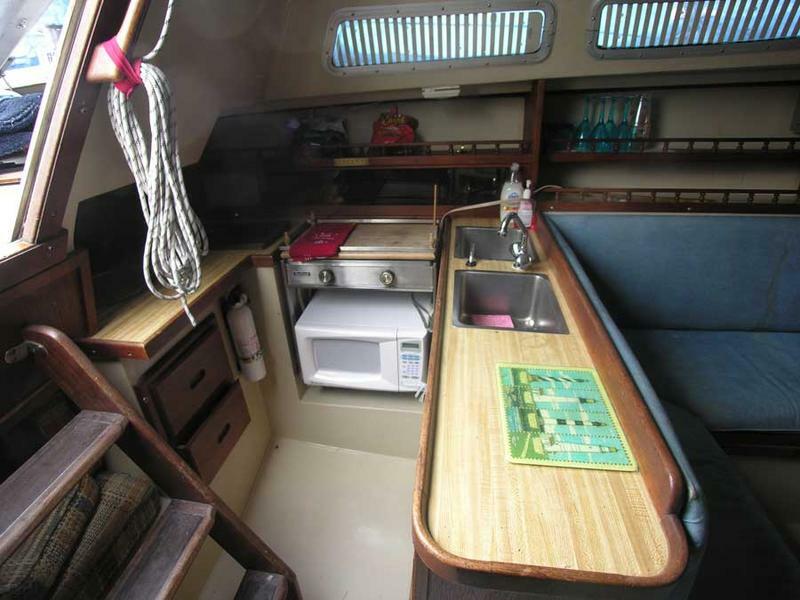 The dinette converts to a huge double berth. There is generous storage throughout the salon w/storage below and behind the dinette & settee. There are shelves and cabinets outboard on both sides of the salon. 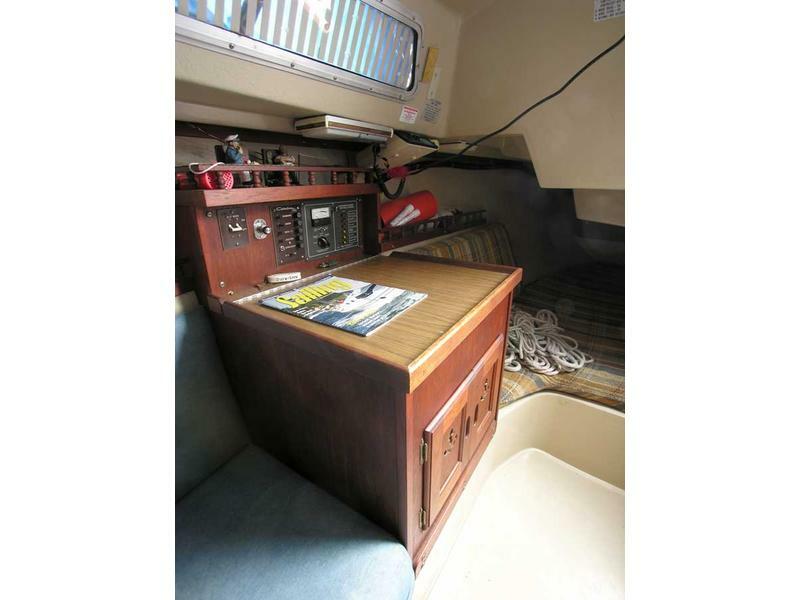 On stbd and to the right of the companionway is the stand up nav station, with storage and the battery compartment underneath. 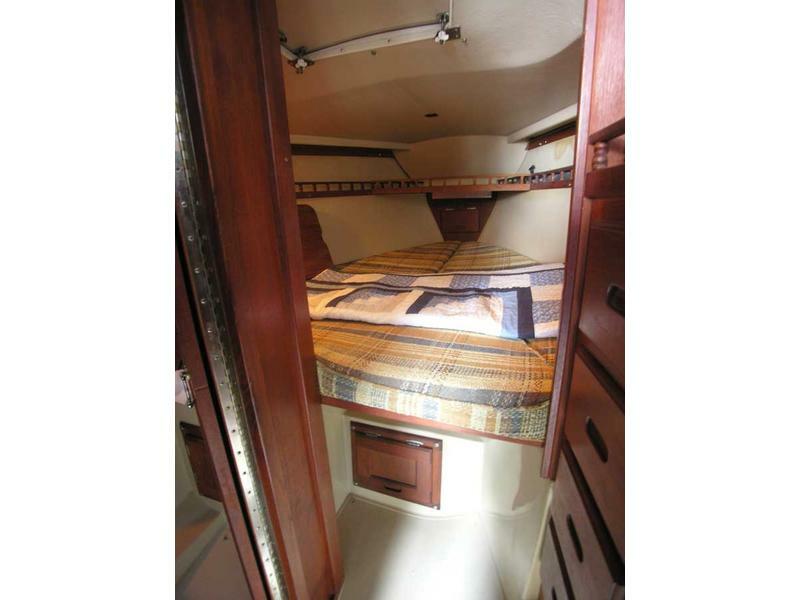 There is plenty of room for all of your instruments and it is the electrical hub of the boat. The breaker panel is hinged with a lock and folds out for easy access for maintenance. 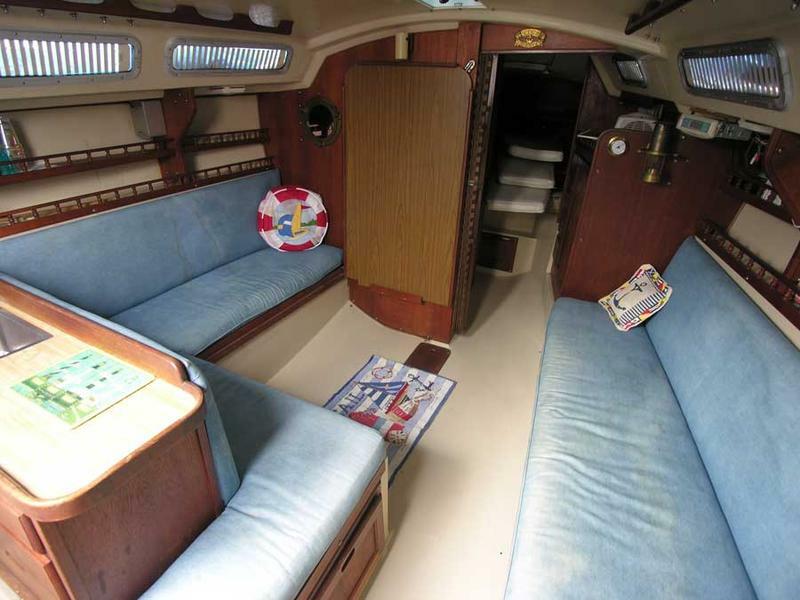 Entertainment radio with built-in CD player and wired remote, two speakers in cabin, two additional speakers which can be taken on deck. Autohelm auto pilot with wind vane attachment. 30 hp Atomic 4 gas engine. Burns no oil and starts readily. Moyer Marine Atomic 4 maintenance hand-book. Various engine spare parts all go with the boat. New cover for throw-able MOB device. Older cockpit cushions (good condition). Two-speed winches for jib sheets. Single speed winch on cabin top. 10 Mooring lines, various lengths. Life lines, gates port and starboard. 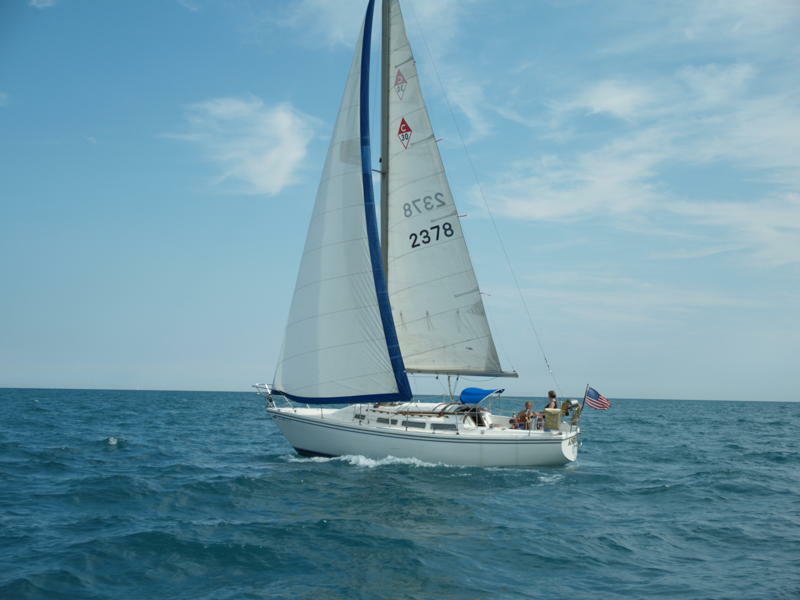 150 feet anchor rode coupled to 20 feet of chain on a Danforth-type anchor. Inner and outer tracks for jib cars. 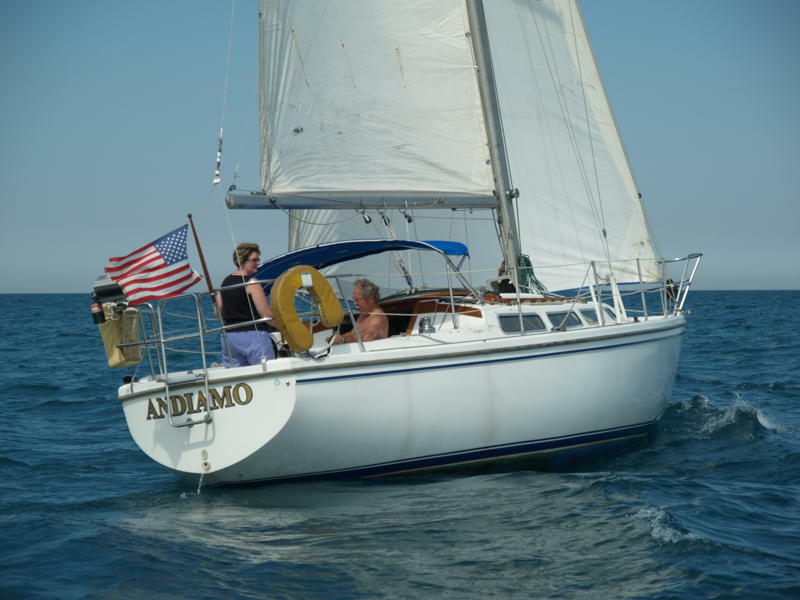 Older bimini top and zip-on cockpit awning.